In 2007, the Constituency Commission issued its proposals to the government regarding the reorganisation of the electoral constituencies. These proposals were included in the Electoral (Amendment) Act 2009, resulting in a change to the borders of almost every constituency in the county. 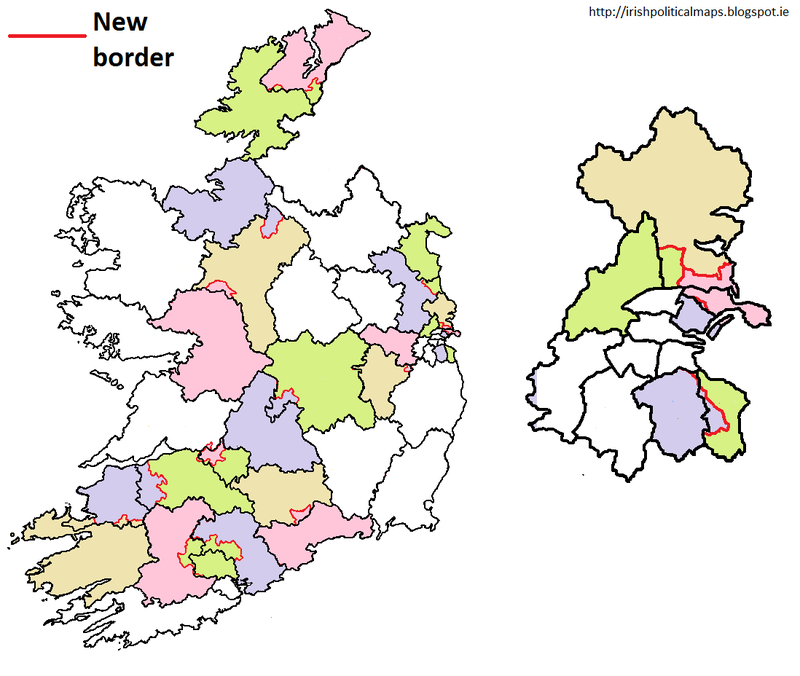 Some were changed radically, particularly in Limerick, where the traditional East/West divide of the country was replaced with three new constituencies: Limerick City, Limerick (county) Kerry North-West Limerick, which as the name suggests, spilled in to Kerry. There were minor changes in seat numbers, with Dublin West and Louth each gaining one seat and Dún Laoghaire losing one. These boundaries were first used in the 2011 general election, followed later in the year by the presidential election and referenda on judges' renumeration and Oireachtas investigations.